There are just SO MANY bad sequels out there; they seem even more likely to go rotten when they’ve been forcibly conjured up by the success of the first movie. And when a sequel is bad, it kind of ruins the original as well. It’s like looking back on the honeymoon phase of a relationship gone sour — all you see are the red flags. PITCH PERFECT 2 IS COMING! 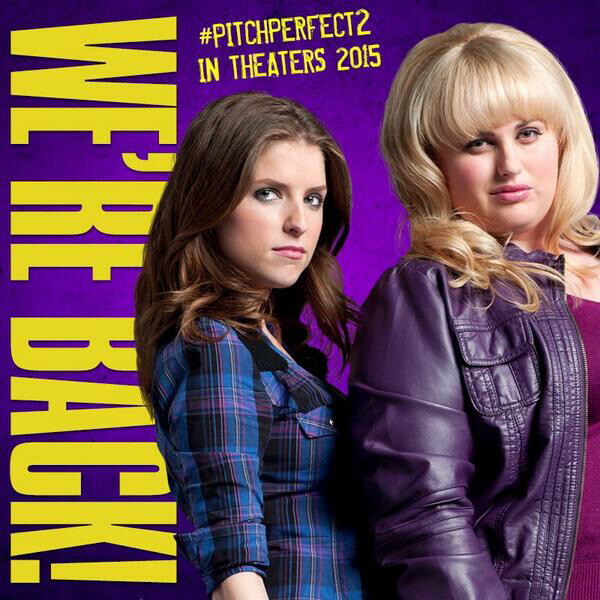 PITCH PERFECT 2 IS COMING! ELIZABETH BANKS IS DIRECTING! ELIZABETH BANKS IS DIRECTING! P.S. Just re-watched the trailer. Not a huge fan of how they dolled up Beca. In the first movie, she wasn’t exactly a false lashes type of girl. And where is Cynthia Rose?? Did we lose our token lesbian? !